The sound of the acoustic guitar is perfect for so many occasions. It can provide a sense of class and elegance when performing a classic melody like Pachelbel's "Canon", or bring a sense of joy and comfort with a great song like "Here Comes the Sun". It's the sound of new classics like Train's "Marry Me" and Christina Perri's "A Thousand Years". 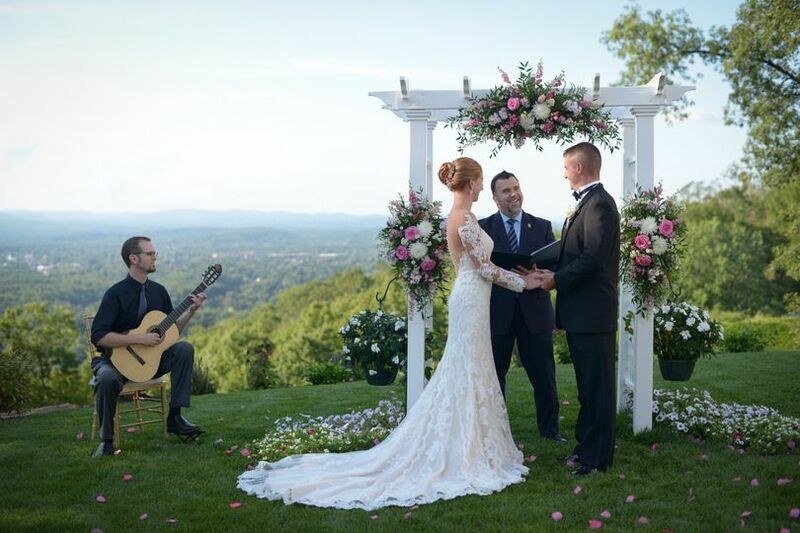 It's hard to imagine a kind of music where the guitar doesn't provide that familiar sound, and you can have that beautiful sound of your favorite music at your wedding! 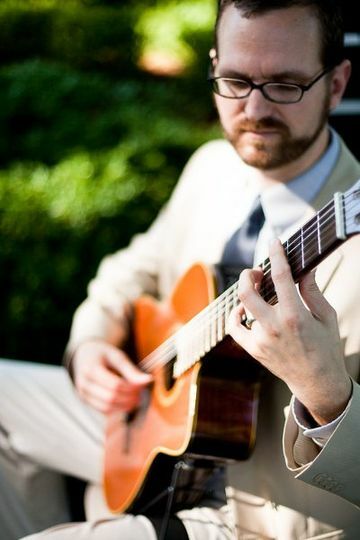 Jeremy Milligan has been performing for weddings and events throughout the Pioneer Valley and beyond since 2002. 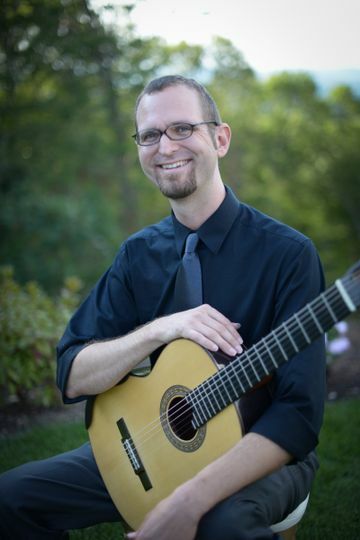 With a Master's Degree from the prestigious HARTT School of Music, Jeremy is one of the finest guitarists in the area. Not only does he perform all the tried-and-true classical repertoire that we all know so well, he also performs modern favorites by the Beatles, Stevie Wonder, Eric Clapton, Bob Marley, Bruno Mars and many others, as well as standards of the Jazz era. Maybe you and your fiancée have a favorite song. Something a little off the beaten path that isn't on the "top wedding song" lists. 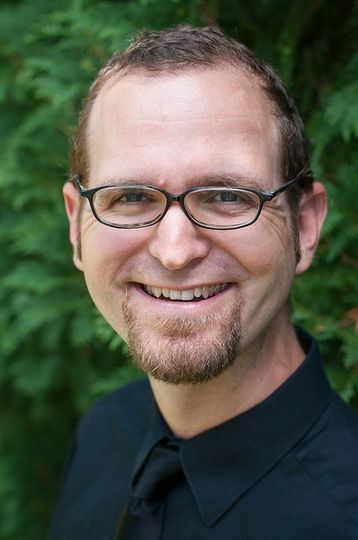 Jeremy will create a custom arrangement just for you and your special event! Give your guests that unique experience of listening to the music that you love! Once the ceremony is over, now it's on the the reception. Jeremy is able to provide music for cocktail hour and dinner if needed as well. Solo guitar playing jazz standards is a beautiful backdrop for cocktails! Looking for something a little more upbeat? Jeremy has performed with jazz combos of various sizes and instrumentations for numerous events. Add a little swing to your event with a jazz trio or quartet. If Jazz is not your thing, perhaps a latin group, or R&B band? With years of experience playing with a wide variety of bands in a wide range of styles, Jeremy can work with you to find the music that fits your event and your budget. I cannot say enough about the wonderful job Jeremy did at my daughter's wedding ceremony. His amazing guitar playing added a touch of elegance and class to the proceedings. I was unsure about having live music for the ceremony, but now I am 100% happy that we went with Jeremy! I loved the option of being able to listen to audio clips on his website to choose the music that we wanted. His guitar playing was flawless and beautiful. I highly recommend him! My husband and I heard about Jeremy through a referral, and we feel really lucky to have worked with him at our wedding. Although we never met in person before the wedding (we were planning the wedding from out of state), Jeremy was one of the easiest vendors to work with and we really felt like we could trust him to do a good job. He was always very responsive and professional via email, and he had a lot of helpful information and ideas for music on his website. There are also sound clips of him playing on his website that helped us in making some of our selections. 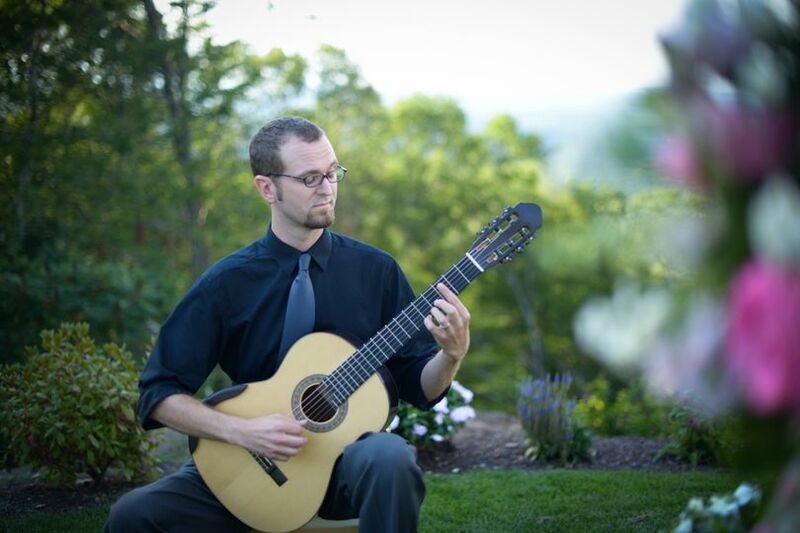 Jeremy played classical guitar as our guests were arriving, and he also played our processional and recessional music during the ceremony. We picked “Simple Gifts” and “Falling Slowly” for our entrance music, and they were both absolutely gorgeous! Especially “Simple Gifts,” which my husband picked and I ended up loving so much! He also arranged a song for us for when we were walking out of the ceremony—“Sweet Pea” by Amos Lee, which was also the song our DJ was going to play when we entered our reception later that night. Everything came together seamlessly and our guests gave us many compliments about the music. When we had to make an unexpected and stressful last minute change to the wedding timeline, Jeremy was very accommodating and really put us at ease. I would give more stars if I could, Jeremy was great! Jeremy's acoustic guitar skills are AMAZINGGGGG! Acoustic guitar is my husband and I favorite instrument and Jeremy delivered exactly what we wanted. I probably listed a million suggestions of what we wanted to hear and he played a good chunk of them in the time that he had. (he even played lion king so thats a win in my book) Jeremy we can't thank you enough for making our day special, everyone enjoyed listening to you play!